VPS Server is continuously looking to improve its service for customers to ensure they are getting the best managed VPS server hosting available. We want to provide the very best level of service to the highest possible number of people all over the world, helping to protect against harmful attacks whilst maintaining a high standard of performance and maximum uptime for our customers. For this reason, we have some exciting updates for customers and visitors. 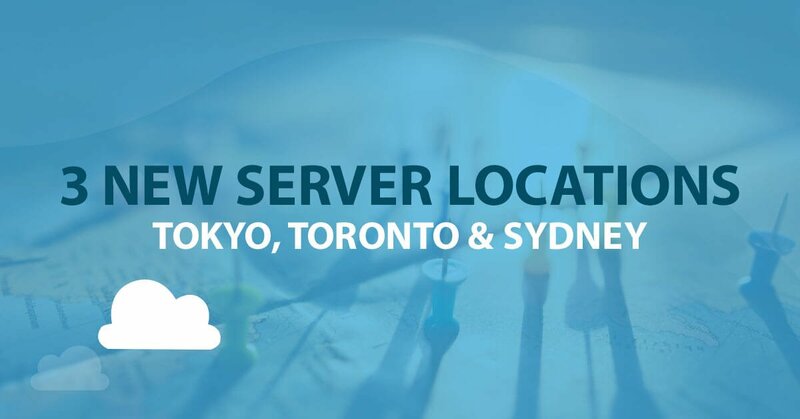 First up, we are proud to announce that we have launched a new location in Tokyo, Japan. The Japanese are some of the most enthusiastic consumers of new technologies in the world, and we focus a lot of our energy on providing our service for those who need it most. Our new data centre in Tokyo is yet another state-of-the-art facility, using cutting-edge SSD hardware to provide VPS hosting for the region that offers superb speeds and consistent uptime round the clock. And, of course, local customers get access to our 24/7 support, convenient activation features and superior security to ensure they get up and running with no trouble at all. The other new data centre we can announce for VPS hosting is in Toronto, Canada. This is also live now, offering the very same level of service and range of features to customers in the North American country. Whether you are using Windows or Linux, we offer a fantastic range of features and support technicians with a minimum of 5 years' experience on your chosen platform, ensuring you have all the features and expert advice at your fingertips 24/7. Our VPS hosting service is as close as you can get to a dedicated server without paying the huge fees that come with it. The third location announcement is for a forthcoming data centre. From April 2019, our newest location will be in Sydney, Australia, where we will offer that very same level of quality service to our good friends in the land down under. Our three newest locations cover the continents of North America, Asia and Australia. This, in itself, is demonstrative of our global ambition, spanning all corners of the world map to offer our superb service to customers who really need it. We believe everyone deserves a level playing field when it comes to secure, quality website hosting, and we won't stop until we are able to offer our service to people in every country around the world. Many customers need to acquire VPS hosting in bulk, often from a range of countries and with specific requirements regarding RAM and bandwidth. This enables them to extend their reach and grow their business accordingly. VPS Server now offers the option to bulk order VPS with some fantastic packages at competitive prices, helping our customers grow and expand naturally with all the hosting requirements accommodated. By improving on the technology at our data centres around the world, we are now able to offer performance improvements to our customers. We have always been committed to our promise of 99.99% uptime, but we are continually adding to the ways we can improve this whilst offering increased speed in our service without having to ask customers to spend more of their hard-earned money on subscriptions. Users will now be enjoying enhanced security features and increased speeds in their service, and this will be an ongoing process that continues to develop. We like to offer maximum convenience in our service to ensure the user experience is superb. In this pursuit, we have developed a number of new templates you can take advantage of to customise your own experience and navigate the intricacies of VPS hosting in a convenient, user-friendly way. Explore our new templates from your dashboard and we hope you will find one that helps you get the most out of our service, even if you are only a novice at managing VPS hosting. An SSH key is an access credential that uses the highly secure SSH protocol. It functions in a similar way to the conventional username and password protocol, but is primarily used for automating processes to provide a streamlined sign-in experience for users. We have integrated SSH keys into our service to provide users with a swifter means of accessing their dashboard and getting to work, because we understand that having to keep re-entering login information is a tedious and unnecessary process. Nothing is more important to us than the security of our customers, and we are constantly reviewing our security features in accordance with our own analysis and user feedback. As such, we have applied a number of security fixes that will benefit our customers, and continue to monitor and review our security in line with the latest developments in the cyber security sector. Expect to get no less than the very highest standards of security when you choose VPS Server for your website hosting. The ever-expanding VPS Server team are committed to providing industry-leading quality of service to as many customers as possible in countries all around the world. Expect to see more locations appear in more of the world's most prominent cities as our mission progresses. And expect to see our list of new features continue to grow as we optimise and improve our service in line with the latest technologies and trends. Your business is our priority, and we will keep your website up and running at all times as if we were a dedicated server. If you aren't already a customer, please feel free to explore our packages and find a solution that works for your business. fx VPS pro is an ultra-fast dedicated premium forex trading server with 100% uptime guarantee with 24/7 customer support. Our dedicated service is categorized into basic, standard, professional, enterprise & corporate service. Most of our clients are pro traders who have chosen our platform due to providing them with ultra-fast speed, powerful hardware support system with the capability of supporting all meta trader. We offer our honorable clients with latency opportunity of new york, Canada, France & London. On the urgency, we can provide them with the latency of other regions also. FX VPS pro is an affiliate service provider where our clients can get 10% commission for every clients s/he can register to our system. Alongside this platform will also provide the opportunity of a reseller plan for buying different VPS. You can access it from any place of the globe according to your needs both in Android & IOS platform. So if you want to boost your business proficiency with top most maintenance system then you are just one click away from it.